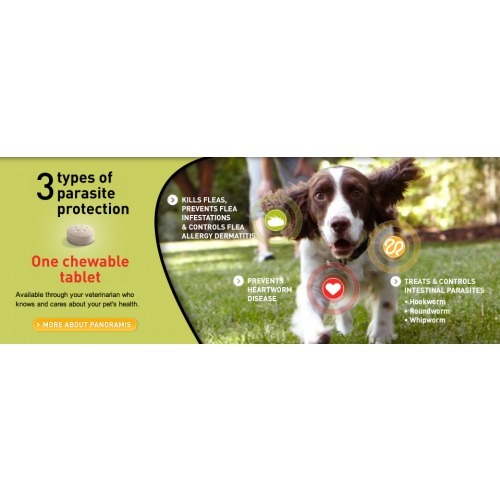 All-in-one chewable tablet for flea and worm control. Only chewable tablet that kills adult fleas. For monthly prevention of heartworm, roundworm, whipworm and hookworm, as well as the treatment and prevention of fleas. Ideal for those with young children or multiple dogs at home so you don't have to to isolate the dog after it's treated. 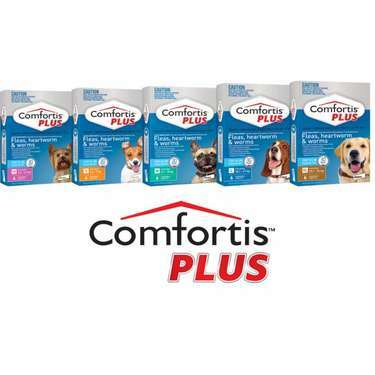 Panoramis is now Comfortis PLUS and is the only all-in-one tablet on the market that can kill adult fleas. 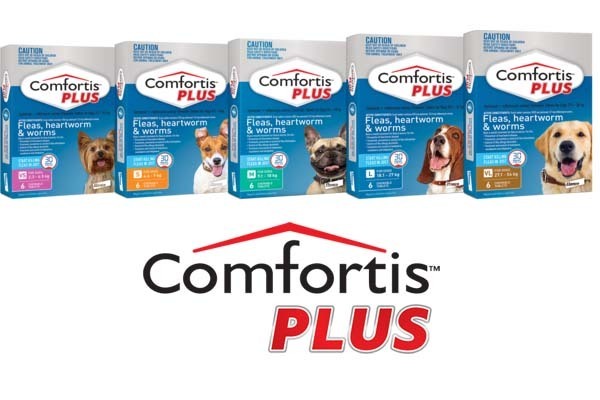 Note: Comfortis PLUS (Panoramis) should not be administered to puppies less than 8 weeks of age. Puppies less than 14 weeks of age may experience an increased rate of vomiting.